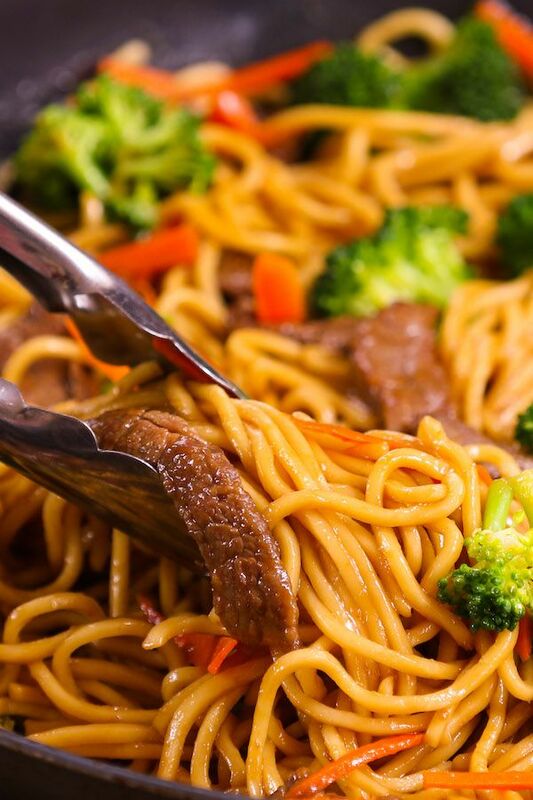 Garlic Beef Lo Mein – Tender beef cooked with colorful vegetables and delicious Lo Mein noodles with addictive garlicky sauce. This 20 minute one pan Lo Mein is a perfect quick and easy weeknight dinner recipe and so much better than takeout. Plus recipe video!